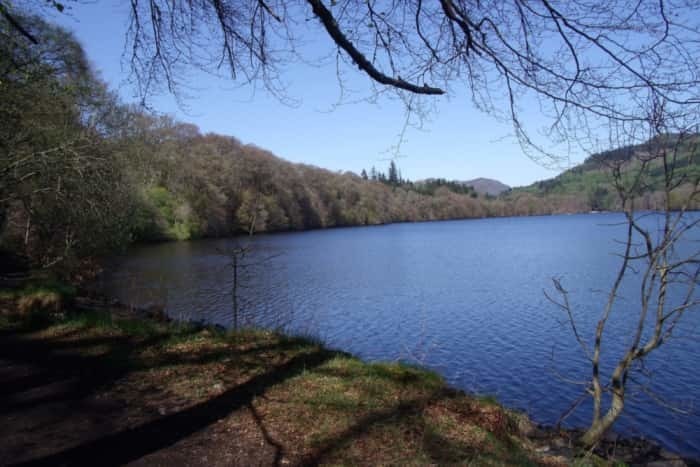 Experience the beauty that Perthshire has to offer, with a family-friendly break at Faskally Caravan Park. Our family run park has holiday homes and wooden chalets for hire. Touring caravans are welcome and we have an attractive area reserved for tents. Start planning that perfect Scottish break and enjoy the unrivalled tranquillity of Faskally Caravan Park. We were warmly welcomed and after a chat with Ian the owner we secured a fab pitch. We had 2 of our granddaughters with us (aged 9 and 11). We all had a fab week, the site was immaculate, the toilets fabby and the staff so friendly too . The well stocked shop was well visited by our girls. The pool put many hotels to shame and the games room a place for kids to meet and adults to mingle. The bar and restaurant were an asset - friendly staff and great food. We will definitely be regular here from now on! Been coming back here every year since we found this place a few years ago. Great clean facilities, very friendly staff, great location and very reasonably priced. Has everything we want from a caravan site. See you again next year! Create lasting memories at Faskally Caravan Park, set amidst some of Scotland's most spectacular scenery in the heart of Perthshire. Our relaxed and friendly family run park has holiday homes, wooden lodges and chalets for hire, alongside a serviced area and facilties for touring caravans, mobile homes, campers and camping tents. Situated close to the picturesque town of Pitlochry just off the A9, we are within 90 minutes drive of Aberdeen, Perth, Stirling, Edinburgh, Glasgow, Dundee and Inverness. Our on-site facilties will leave you spoiled for choice - choose to unwind in our Bar & Restaurant, take a swim in our modern, heated indoor swimming pool with sauna and jacuzzi , or escape to the outdoors and take in the scenery and wildlife on one of the nature trails that surround the park.